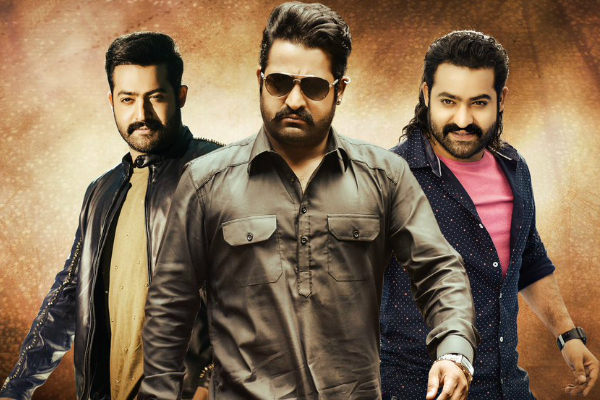 Jai Lava Kusa is the first film in the career of Jr NTR in which he will be seen playing triple roles. Jai Lava Kusa is currently the focal point of Telugu film circles with the film just one day away from release. Directed by KS Ravindra, Jai Lava Kusa has Jr NTR playing all the three titular roles with distinct looks and characteristics. Trade pundits are already predicting that the film may well be the first film to beat the records set by the magnum opus Baahubali. These predictions are coming on the basis of the pre-release business of Jai Lava Kusa which is said to be a whopping amount of INR 120 crores. The excitement around Jai Lava Kusa is so high that it is being predicted that the first day collections of the film may well go beyond the first-day collections of Baahubali. Releasing in more than 2000 screens in the states of Telangana and Andhra Pradesh, Jai Lava Kusa stands only next to Baahubali which released in more than 3500 theatres in the Telugu speaking states. With such huge number of theatres allocated for release, Jai Lava Kusa is definitely the biggest release in the career of Jr NTR. Besides Jr NTR, Jai Lava Kusa also features Raashi Khanna and Nivetha Thomas as the leading ladies. The film is produced by NTR’s brother Nandamuri Kalyan Ram under their home banner NTR Arts. Jai Lava Kusa is the first film in the career of Jr NTR in which he will be seen playing triple roles. One of the characters in the film – Jai – is said to have references of Ravana and his life which syncs with the festive season of Dussehra. Since the film is releasing during the same festive season, experts are predicting that Jai Lava Kusa might be the biggest grosser in Telugu cinema this season.